Welcome to the very first NJ Ride article. It is our goal to create a space of education for our readers, clients, and prospective customers. Educate people about what? We are glad you asked, actually. Because as one of New Jersey and New York’s ground transportation provider to for people going to and from airports near and far (more on that later), people need to know why going with a car service provider over something like…say…Uber, for instance, is the better choice. We will go beyond simply comparing our services to the other guys, because there are more than a few reasons why people consistently choose us once they have done so for the first time. People consistently call us Northern New Jersey’s best car service. And although that is quite flattering, it is something of a misnomer, considering the fact that we provide JFK Airport transportation, in addition to taxis to Newark Airport, car service to Westchester County Airport, and car service to LaGuardia as well. Essentially, wherever you are at in the Newark or New York area, we can get you to where you need to go, in style and on time. We make a point to provide exceptional car service in every single ride we give. But exceptional car service could mean something different to two different people, so we have broken it down into four chief values that NJ Ride holds dear. As our president Matt Samanoglu, who has over 20 years of experience in the automotive industry, has stated: “Our goal every day is to excel in providing safety, comfort and value in ground transportation and travel services to our customers”. Our chauffeurs are as professional as they come. Attention to detail starts at the stop of a company and trickles down to create a culture of excellence. Safety is one of our chief concerns because it is our business to our passengers secure. With a broad range of services and packages, you can choose what kind of service you want. But whatever package you go with, rest assured that you will have a smooth, stress-free ride so you can relax, enjoy yourself, or focus on your own work. Whatever you need, just let us know. But our baseline is to bring you a smooth, comfortable ride. Whether you are looking for JFK Airport limo service or transportation from JFK to Manhattan or beyond, NJ Ride has the best ground rates available online. Keep in mind we offer corporate transportation services in addition to private car service. While other companies might track your location after you leave their car, rest assured that we will never do that. We respect your privacy and offer our confidentiality as an assumed service that we provide. We make a point to be attentive to your preferences, whether that means striking up a conversation or offering you a silent ride to your destination. At the end of the day, you want a reliable, straightforward car service provider. And that is exactly what we have created here at NJ Ride. There are no gimmicks, no “subject-to-change” quotes, or hidden fees because of toll roads or otherwise. We offer all-inclusive flat rates, and that is one less thing you have to worry about the next time that you travel. We are open 7 days a week, 24 hours a day. Quite simply, we are a car service provider that blends value with class and reliability. 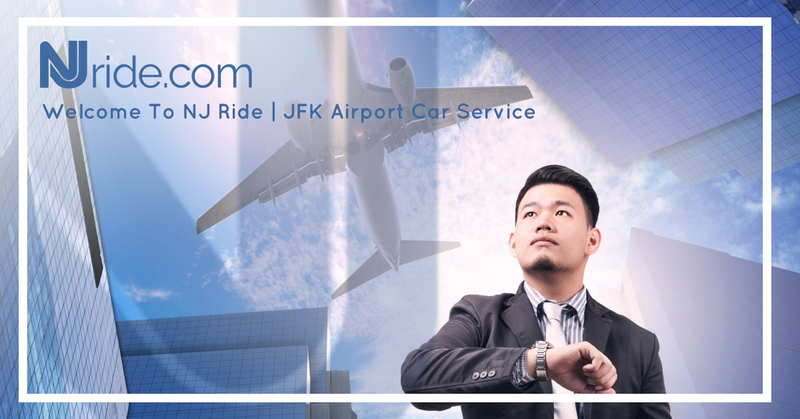 So the next time you need New York car service to JFK or otherwise, give us a call. We offer free quotes on all rides, including our hotel shuttle service and corporate travel options. Reach out to us today!